One of the toughest tests a director can be faced with is taking on a film in a franchise that features a truly iconic, larger than life character. 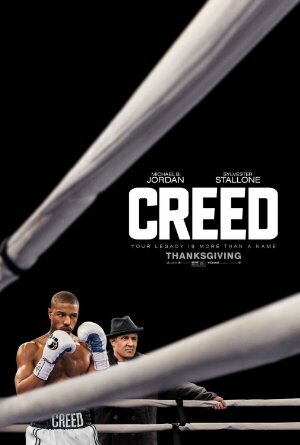 That’s the task writer/director Ryan Coogler (Fruitvale Station) accepted with Creed. “Adonis Creed” (Jordan) is the illegitimate son of the late “Apollo Creed” (Weathers, seen only in flashback). Born after the tragic death of his father, Adonis’ mother dies soon after his birth and he has moved from group home to group home before winding up in Juvenile Hall. “Mary Ann Creed” (Rashad) decides to open her home to her late husband’s son. Flash forward to the present and going by the name Donny Johnson, Adonis is enjoying a successful career. He’s educated and polished and at the same time goes down to Mexico to fight in hole-in-the-wall venues. Without having worked with a trainer he is an amazing 15-0 and now wants to pursue boxing as a career. He quits his job and after the son of Apollo’s trainer refuses to train him, take off for Philadelphia. The plan is to convince “Rocky Balboa” (Stallone for the seventh time) to train Donny while he continues to keep his legacy as the son of Apollo Creed hidden. He wants to make it on his own without playing on his father’s name. But Rocky doesn’t want anything to do with boxing at this point in his life. Adrian and Paulie are gone and his son is living far away because it is just too tough to live in Philly when you’re the son of a living legend. Rocky is content to run his restaurant and live a quiet life. But you know from the moment Rocky first says no, he will ultimately say yes and train the son of his rival and friend. The formula of the underdog being given a shot at a title is present, but done better than in any of the prior sequels to 1976’s original Rocky film. That movie won three Academy Awards including Best Picture, and it must be noted that Creed is on that level. When the secret of Donny’s origin is unveiled and he winds up facing “Pretty” Ricky Conlan for the light-heavyweight child, another epic contest in the squared circle is in the offing. It also wouldn’t be a Rocky franchise film without a compelling love story, this one featuring Adonis and his neighbor “Bianca” (Thompson). Part of the appeal of this film is that she, Adonis and Rocky are all fighting an individual battle while they work together to give Adonis a shot at his lifelong dream. Michael B. Jordan is the titular star of this movie and he is excellent. But this is Sylvester Stallone’s magnum opus performance. He’d already proven he has serious acting chops in films like the original Rocky and Cop Land; but in Creed he surpasses anything and everything he’s ever done. Like others who write, direct and act, it appears that Stallone does his best acting with someone else in charge behind the lens. That’s not a knock on his ability to helm a film, he’s a terrific director. It’s just that sometimes you can’t be brilliant both behind and in front of the camera. We were already aware of the brilliance of Ryan Coogler from the superb Fruitvale Station. If his next film is another leap forward as Creed was, I can’t wait to see it. I’m also impatient to see Creed again. It’s worth more than one viewing. Creed is dedicated to producer Robert Chartoff who passed away in June of this year. RIP.